Beat me to this one! BTW that workout will probably soon be on YouTube, because Sheamus has a channel for that. 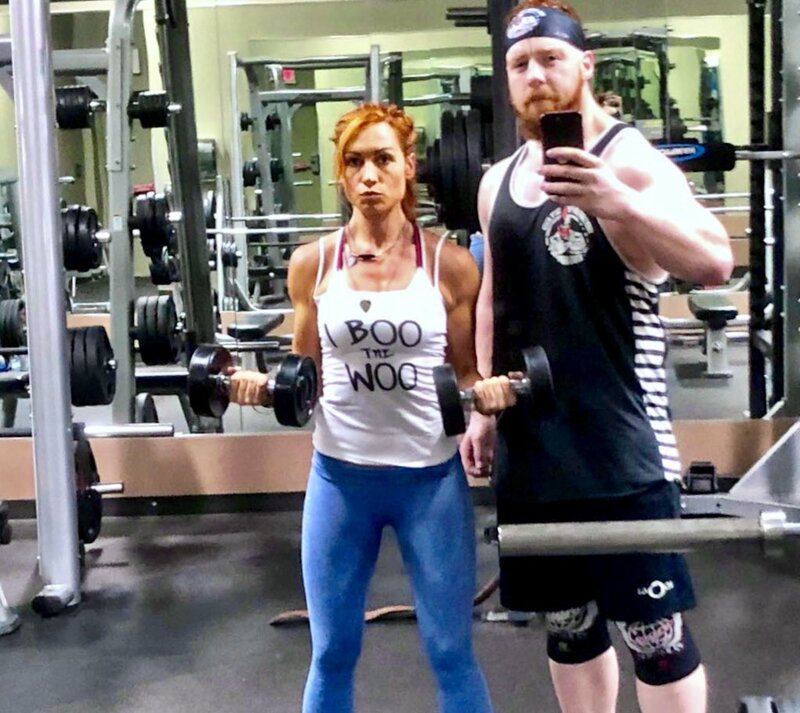 Becky already did a workout with Sheamus, but maybe there will be a sequel. 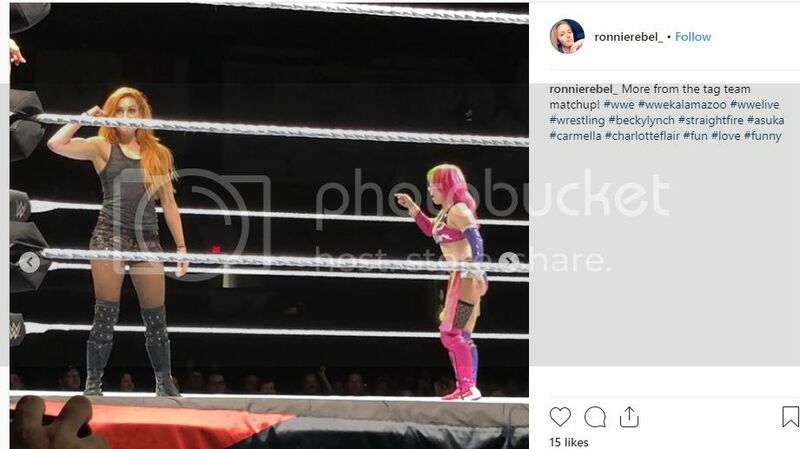 Becky at a house show from Kalamazoo, Mi, tagging with Carmella against Asuka and Charlotte. I can't tell if this is actually suppose to be a flex but it might as well be. From the same match. Nothing muscle related but you just have to love Becky thumbing her nose, assumingly at Charlotte. Forbes piece on how Becky has become WWE's hottest star in her role as an anti-hero -- a good description, much better than heel. Big Show interview on Busted Open Radio which is Bully Ray's show. Big Show is a always great entertaining interview but from 21:50 to 32:00, Show talks about and just raves about Becky. He talks about how he has always been a fan of hers, what makes Becky so great in the ring, breaks down the Nia Jax incident, and the possibility of Becky/Ronda headlining WM. Right now he feels it's up to the guys to come up with something better by then otherwise Becky/Ronda should be the WM main event. Really worth the listen especially when you are talking about one of the longer tenured veterans on the men's roster that really has seen it all reaping such praise about Becky. 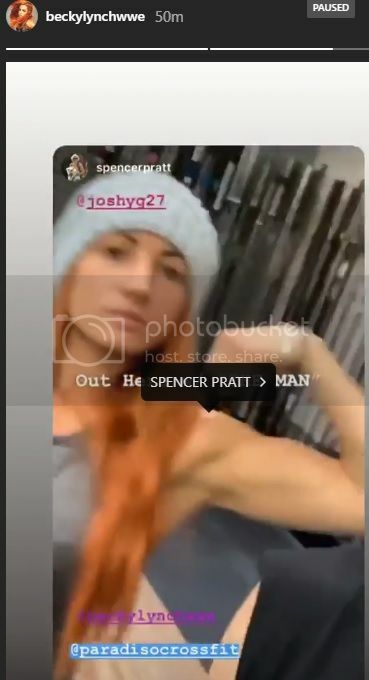 Screen shot of a quick Becky flex from her latest Instagram story. I sure hope these tweets are 100% Becky's own words. If they are, just how awesome is she ? In the tweet to Ronda that goes with the link, she makes a not so subtle reference to when Holly Holm turned out her lights. Becky does her own twitter, but she runs it by WWE PR before posting. Sometimes the most innocuous sounding stuff they say there gets them heat.